Situated in Vésenaz old town, this 6 room penthouse features an area of about 190 m². It offers spacious volumes with magnificent high ceilings in the living room and plenty of light thanks to its south-west orientation. Located in a small residence built in 1985, this apartment was superbly renovated from 2008 to 2016 with high-quality fittings and magnificent solid oak parquet flooring. The tasteful renovations lend the property an undeniable charm. A small space in the living room with fireplace will allow you to enjoy a cosy atmosphere in the winter months. A balcony and terrace with views over the lake and Jura will enable you take advantage of good weather. A basement parking space and a cellar complete the property. The apartment is in the heart of Vésenaz old town. This practical location is a short walk from all amenities, including schools, Manor, Coop and Migros shopping centres, bank, post office and hairdresser. 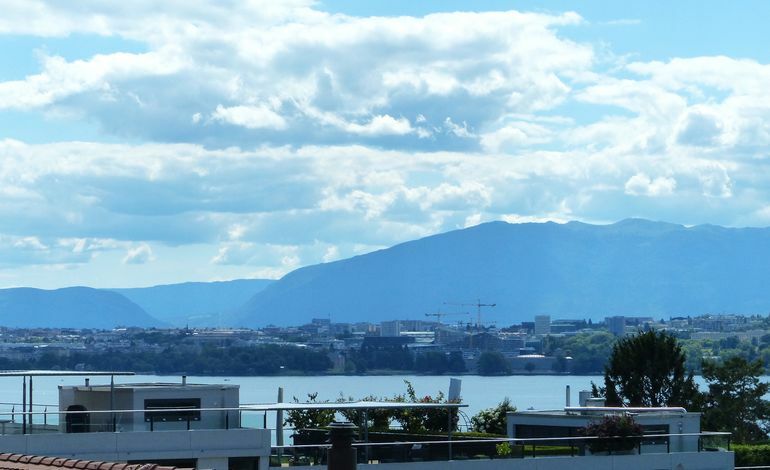 Geneva city centre is just 10 minutes’ drive away. The apartment is situated in a small, two-story residence built in 1985. This penthouse was renovated from 2008 to 2016 with high-quality materials.